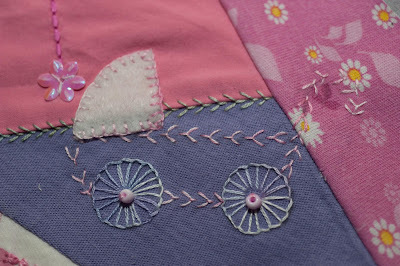 The Take a Stitch Tuesday (otherwise known as TAST) has started again (yay!) 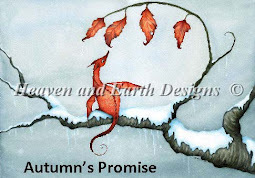 if you want to join in hop over to Sharon's site where you'll find all the details. 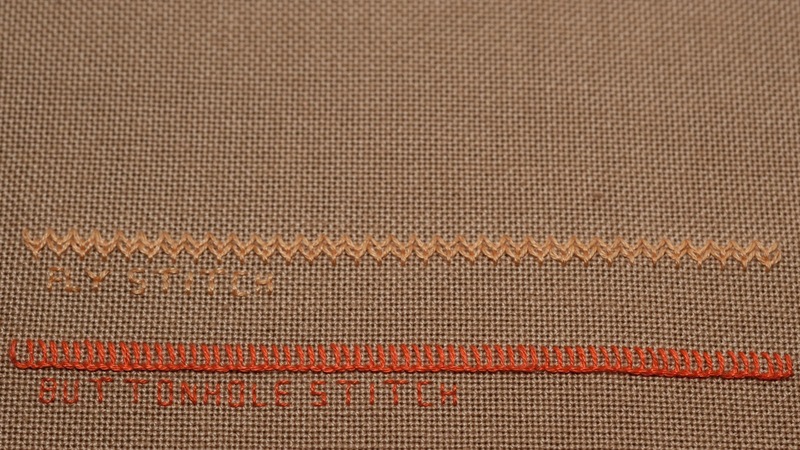 Week 1 was Fly Stitch and week 2 was Buttonhole Stitch. I've decided to do a bit of a band sampler with the stitches on some fabric from my stash so I can see how they work up and it'll be my version of a stitch dictionary. 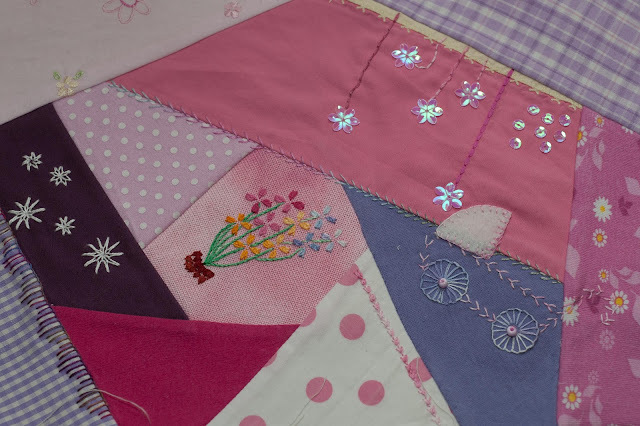 Then I brought out one of my quilt blocks that I've made using some of my daughters old baby clothes, I'm eventually going to put these blocks together to make a memory quilt for our bed as it'll all be made of bits of the kids clothing. After I'd stitched 2 of the button hole wheels I realised they looked like a dolls pram that my daughter had for her baby annabel, the frame is fly stitch and I appliqued a bit of her white fabric to make the hood. 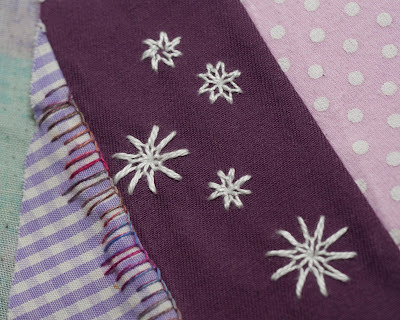 Snowflake fly stitch as this dark fabric was from one of her winter outfits when she was 10mths old. Then I did buttonhole stitch along the edge of gingham fabric from one of her nursery dresses. Those are gorgeous! I'd like to do something with DD's baby clothes, but I haven't gotten farther than separating them from the donation stuff.